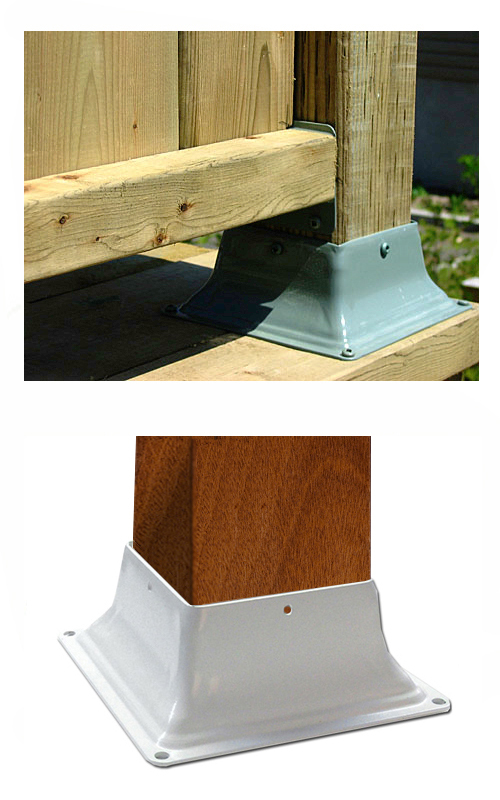 PRODUCT: Base 44, Deck Post Base Bracket Cover. Powder Coated WHITE 2 mm (0.079) Steel. Fits 4x4 (3.5x3.5" actual size) Posts. 12/Box. Price/Box. DESCRIPTION: Fits 4x4 wooden posts. It is recommended to use in conjunction with Fixplak 44 anchor plate to increase the strength of the post fixing to the floor. OPTIONS: Available in Khaki, White, Cedar or Black color. 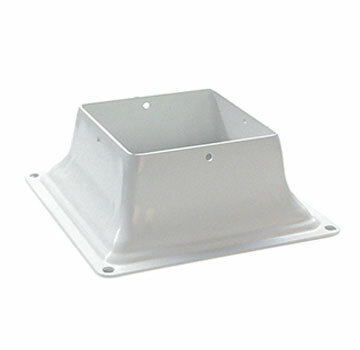 4x4 Deck-Post Base Brackets, WHITE Color Powder Coated 2mm (0.079) Steel (Heavy Duty). Fits most 4x4 Posts (see detail notes). Price/Each.